‘Environmental Hypersensitivity Syndrome’ and Sick Building Syndrome are not syndromes. The label may deter seeking treatable diagnoses in those with multiple symptoms that believe exposures in their environment make them ill. 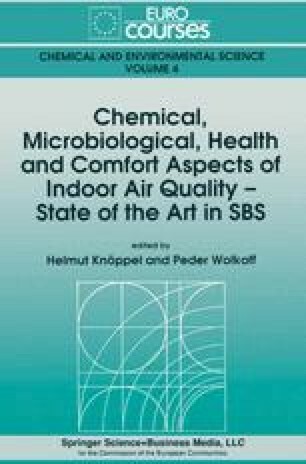 In those suffering from IAQ problems, the label SBS may deter diagnosis of the building. Chemical hyperresponsiveness, to irritants and solvents, appears to occur at low dose levels, after a significant event exposure (substance identified), followed by generalized responses to other low level irritant exposures with symptoms decreasing overtime.